The Capital Barbie: Give Me A "P"! It is almost time for the long weekend. 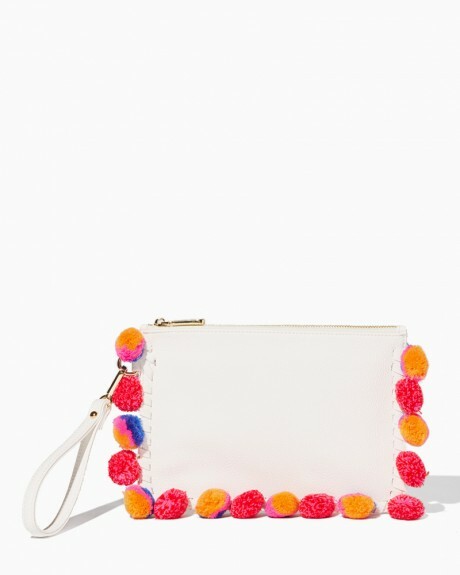 I thought we should have some fun with a playful purse that is full of poms. Yes, pom poms. This bag is such a party. How can you not have fun wearing this? 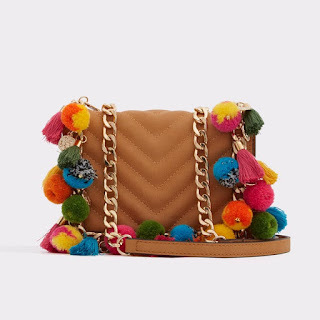 Super soft pebble leather makes this bag extra luxurious. Poms AND tassels? Sign me up. And for something under 20 bucks. Love the white with the bright colors! 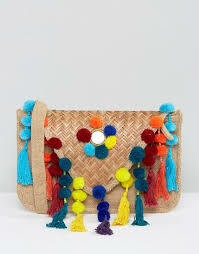 Have some fun with your bags this summer. 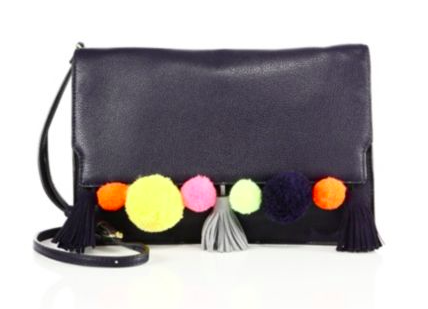 Try a pom pom or a tassel with a pop of color.